In addition to a range of well researched recycling and energy saving initiatives, WALES has invested in many thousands of tonnes of carbon credits. 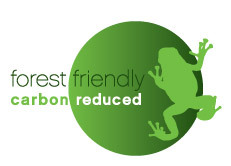 These credits have been generated from projects conducted by Carbon Strategic Ltd in South East Asia that reduced carbon emissions by reducing deforestation and degradation of forests. WALES Bus Repairs cares about its impact on the environment and carbon footprint and will continue to maintain this high ethical stance in conducting business for future generations. and carbon footprint of your repair.